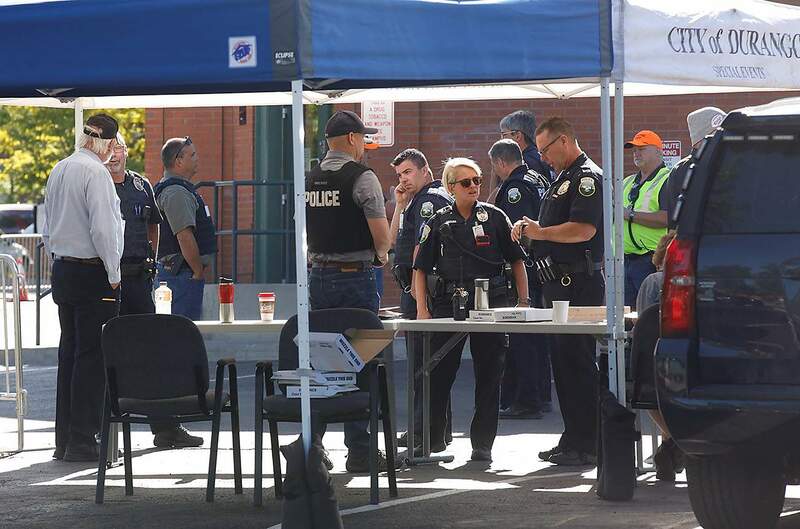 Officers with the Durango Police Department discuss training procedures Thursday morning at the Durango Transit Center during an emergency drill. The Transit Center at 250 W. Eighth St. was closed from 7:15 a.m. to about 1 p.m. while emergency responders conducted a mock-threat scenario. The emergency training was designed to test the Continuity of Operations Plan for Durango Transit Center.